Up to 10,000 major strokes a year could be prevented if the early warning signs in susceptible individuals were assessed and treated rapidly, doctors say today. Two research groups in France and Britain have found that early treatment of people who suffer a minor stroke, also known as a transient ischaemic attack (TIA), can cut the risk of a major stroke by 80 per cent. The treatment is cheap and simple – often a daily dose of aspirin will be enough – but the speed with which it is administered is the key to its success. In the British study, researchers at the Radcliffe Infirmary, Oxford, compared patients referred to a specialist clinic for assessment and then sent back to their GP for treatment, who waited 23 days for their pills, with a second group who were assessed and treated within a day. Click here for full report. This winter it’ll be no fun if you get flu. Influenza, or flu, is a highly infectious disease that occurs mainly in winter months and infects up to 10% - 15% of the UK Population. Most people recover within 1 - 2 weeks, but in people who have already got lower immunity due to treatment or disease, then complications can arise. In the UK approximately 3,000 to 4,000 deaths are due to complications caused by flu during a typical winter. A flu vaccination gives protection for up to a year. The best time to be vaccinated is between September and November, just before the winter period when flu is more prevalent. You should not wait until there is a flu epidemic before being vaccinated. carers who receive a carers allowance or those who are the main carer for an elderly or disabled person whose welfare may be at risk in the carer falls ill. If you think you need a flu vaccination, speak to the receptionist at your GP practice or occupational health department. The Stroke Association urges the public to get their blood pressure tested and avoid being a statistic of the UK’s third biggest killer. The call comes as figures show that nearly a quarter of people in the UK are unknowingly suffering from undiagnosed high blood pressure - the single biggest risk factor for stroke. Joe Korner, Director of The Stroke Association said: “There is no doubt that blood pressure testing really can save lives. Every five minutes someone in the UK has a stroke – that’s 150,000 every year. But over 40% of those strokes could be prevented by the control of high blood pressure. High blood pressure is referred to as a ’silent killer’ for good reason. 16 million people in the UK have high blood pressure with many more unaware they have the condition. Most people can be treated effectively and benefit greatly by making small but significant lifestyle changes. Cutting down on alcohol, stopping smoking, reducing stress levels and leading a healthier lifestyle can all help lower your blood pressure and reduce your risk of stroke. 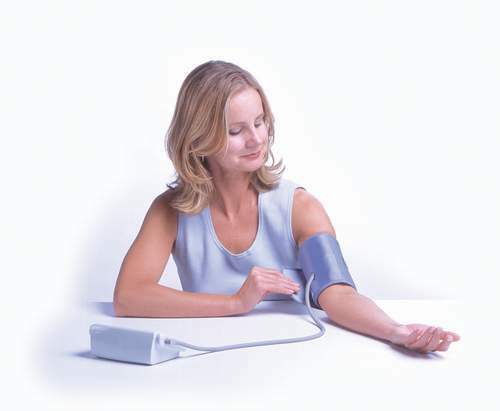 You can easily find out your blood pressure by asking your doctor for your blood pressure measurement, or you can take a blood pressure measurement yourself at home using a blood pressure monitor. It’s quick and painless, but it could potentially save your life. Too much water can be dangerous. 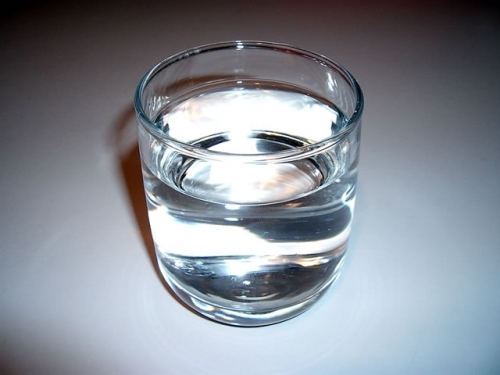 We are constantly being advised that we should drink about 2 litres of water each day. But did you know that too much water can be bad for you. While dehydration is a common concern for exercisers, some experts think the public should be aware of the danger of drinking too much water. In some cases it can lead to a potentially fatal condition called HYPONATREMIA. Hyponatremia is characterised by an abnormally low blood concentration of sodium. It is most often seen at extremely high-endurance events such as ultra-marathons. Avoid eating while watching TV if you want to lose weight! Researchers recommend that people who wish to maintain or lose weight avoid eating while watching TV, talking on the phone or listening to music. All these activities are capable of derailing even the best weight-loss efforts. A recent study of healthy-weight women revealed that even restrained eaters consumed significantly more calories when they were distracted than when they were alone without outside stimuli. Researchers from Hospital Hotel-Dieu in Paris, France recruited 41 women, ages 26 to 55, to eat lunch once a week under four different conditions in a controlled laboratory setting. The conditions were eating alone without distraction, alone while listening to recorded instruction on how to focus on the taste of their food, and alone while listening to a tape of a detective story. The participants ate lunch with three other women who were also participating in the study. Despite reporting equal levels of hunger under all four conditions, the women ate considerably more calories while listening to the detective story. In conclusion, researchers recommend that people who wish to maintain or lose weight avoid eating while watching TV, talking on the phone or listening to music. All these activities are capable of derailing even the best weight-loss efforts. Most people frequently weigh themselves to determine body fat, it’s assumed the heavier the person the fatter they are. This is a misconception. Body weight is an important measure and a useful source of information, but it does not provide us with detailed understanding necessary for better health. A person with excessive fat can weigh the same as someone who is considerably leaner. So, what can you do to assess how much of your body is fat and how much is lean body mass? The answer is simple - your body composition. Body composition is a breakdown of your weight, expressed in terms of its actual make up. That is, how much is fat and how much is lean tissue (bones, muscles, water, tissue and organs). It’s this balance and understanding that’s essential information to your health. This is why regular body composition tests are important. How can you assess your body composition? This method is regarded as the most accurate but also the most uncomfortable and perhaps impractical. It uses the Archimedes’ principle of displacement and involves being weighed underwater as well as on land. This method is normally only used by laboratories for research purposes. The method is based on the understanding that superficial deposits of fat at various sites (measured by Skinfold calipers) correlate with total body fat. This method requires the assistance of a trained health professional and some people regard it as too invasive. Bio-electrical impedance devices are low cost, portable, non-invasive and non-intrusive instruments which are used to assess body composition. They measure the body’s resistance to a harmless current which is passed through the body. Formulae are then used to convert the impedance reading into measures of body composition that can be easily read and understood. 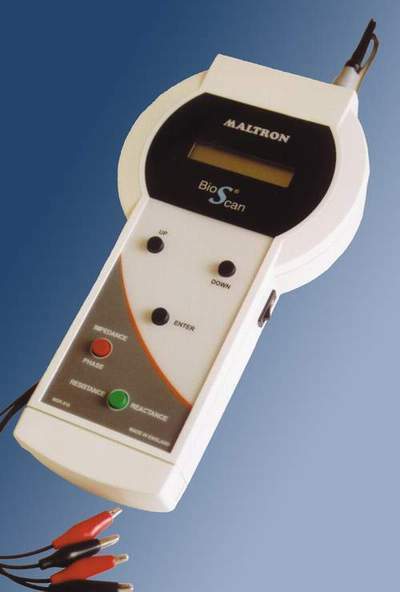 Most Bio-electrical impedance devices provide a quick analysis of your body composition that includes Body Fat % and weight. At fitness-etc we recommend that you monitor your body composition on a regular basis to keep you motivated and help you achieve your health and fitness goals. Ready meals are no longer just for couch potatoes. They are becoming increasingly popular with healthy eaters as manufacturers use less fat. Britons spent more than £2 billion on ready meals last year - more than anyone else in Europe, market analysts Mintel reported. Almost a quarter of us eat a ready meal more than once a week - compared with just 9 per cent of Germans. For many years doctors have been assessing the role cholesterol plays in health by referring to the Total Cholesterol level. A Total Cholesterol (TC) in excess on 5.5mmol/l is itself a risk factor for heart disease. But knowing your Total Cholesterol level is NOT enough. An individual with a TC of 5.4mmol/l and HDL of 1.80mmol/l will have a TC:HDL ration of 3.0 which requires no attention. However, a person with a TC of 5.4mmol/l and HDL of 0.77mmol/l has a TC:HDL ratio of 7.0 which does require attention. An HDL cholesterol level less than 1.0 mmo1/l is also considered a risk factor for the heart disease. Your aim is to decrease you ratio by increasing your HDL Cholesterol and decreasing your Total Cholesterol. What is a good TC: HDL ratio? Less than 3.5 - is associated with a less than half the average risk of developing heart disease. 3.5 - 5.0 - is associated with an average risk of developing heart disease - a 25% chance by the age of 60. Between 4.5 and 9.6 - is associated with twice the average risk of development heart disease by the age of 60 - a 50% chance. Between 7.0 and 15.0 - is associated with tripled average risk for developing heart disease by the age of 60 years. Anyone who has any cardiovascular disease, such as coronary heart disease, peripheral vascular disease (disease in the blood vessels that supply the limbs) or stroke, should have their cholesterol measured by a doctor. Anyone, even children, with a family history of familial hypercholesterolaemia should have their cholesterol measured. Anyone aged 35 or over should consider having their cholesterol measured if they have one or more of the following risk factors: family history of early heart disease, diabetes, high blood pressure, smoking. A healthy lifestyle - exercising on most days, eating a low fat diet, not smoking and drinking alcohol within the recommended limits - will help reduce your risk of coronary heart disease. Images highlighting the dangers of smoking will be printed on all tobacco products sold in the UK by the end of 2009, under regulations being set out. Manufacturers will have to start complying from October next year. After a public consultation 15 images, including ones of diseased lungs, have been chosen to accompany text warnings about lung cancer and heart disease. Anti-smoking campaigners welcomed the move but smokers’ lobby group Forest said they were being “victimised”. Click here for full report. We all need some body fat to be healthy. It’s vital for regulating body temperature, storing vitamins, cushioning joints and protecting organs. But too much body fat can damage your health and it could put you at greater risk of developing serious medical conditions. Excess body fat is known to contribute to heart disease, high blood pressure, Type 2 diabetes mellitus and some forms of cancer. The solution to reducing your body fat and improving your health is not rocket science. We all know that we should do 30 minutes of moderate exercise on most days of the week and eat a healthy balanced diet. But how many of us have considered eating more frequently to reduce weight? This idea may seem odd but if you consider that when the body goes for long periods without food it becomes very efficient at storing fat. This is because it’s not sure when the next meal is coming from. When the body is being frequently topped up with food it has no such worries and in fact becomes very efficient at using the food as energy to power our muscles and brain. More frequent small meals consisting of a mixture of healthy carbohydrates and proteins which release energy at a steady pace will allow more balanced blood sugar levels. Therefore, try to eat at regular 2-3 hour intervals throughout the day. This will help to keep your metabolic rate high and balance your blood sugar levels. This is not only the best way to eat for weight reduction but will boost energy levels, thus helping to make your workouts more effective, improving your weight management and more balanced hormones. Correcting this hormonal imbalance will also have the added bonus of helping to reduce joint inflammation, concentration and energy levels.